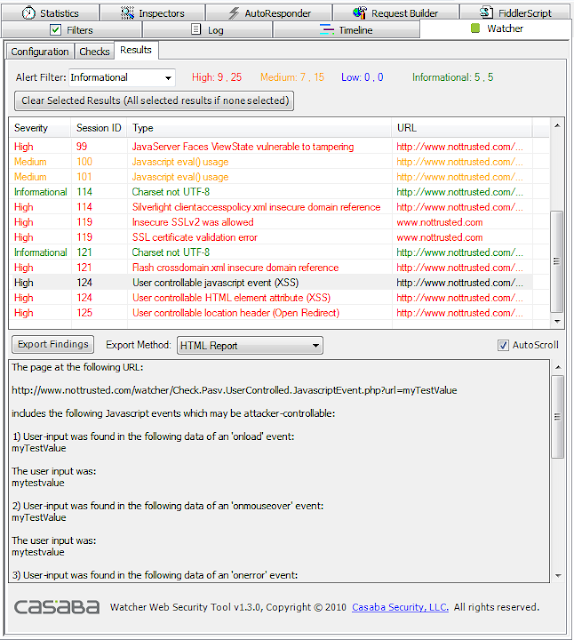 Watcher v1.5.1 Web security testing tool and passive vulnerability scanner download ! Watcher is a Web security testing tool and passive vulnerability scanner. This tool is in continues development and has updated it features and capabilities.